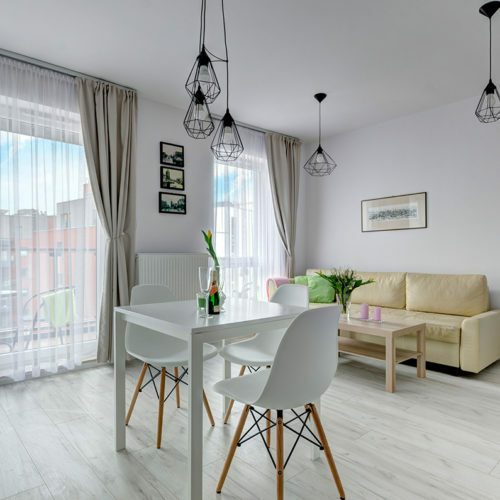 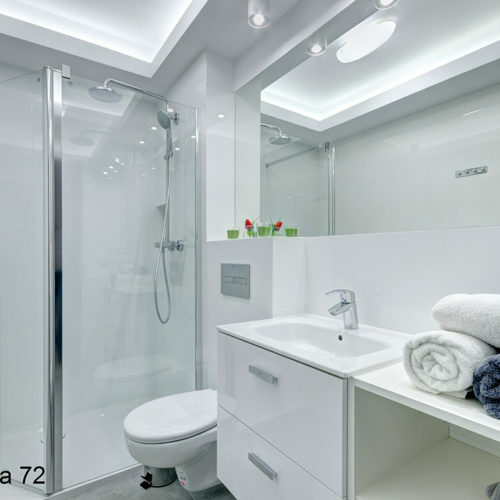 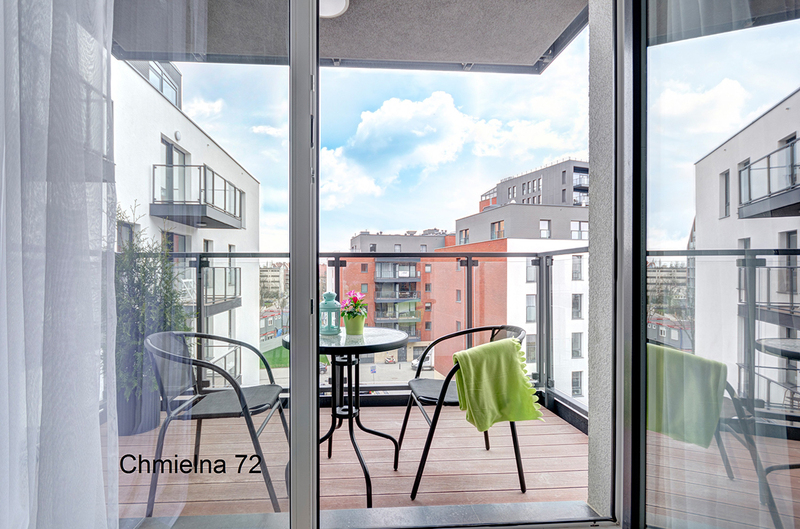 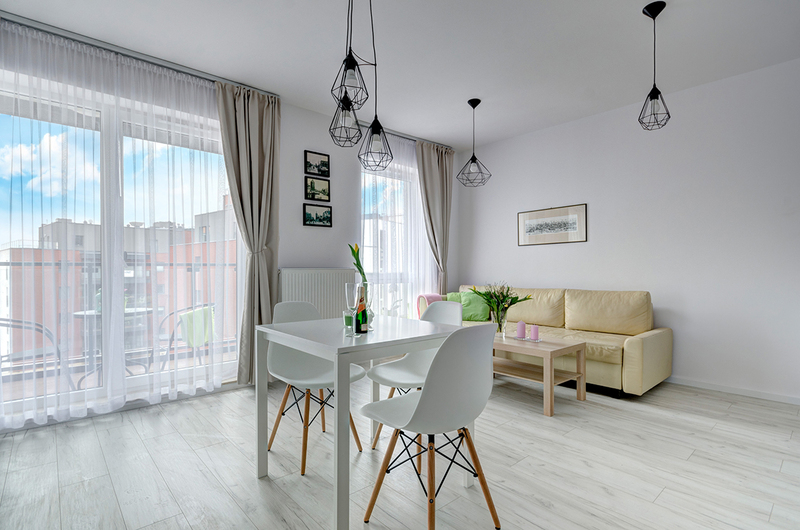 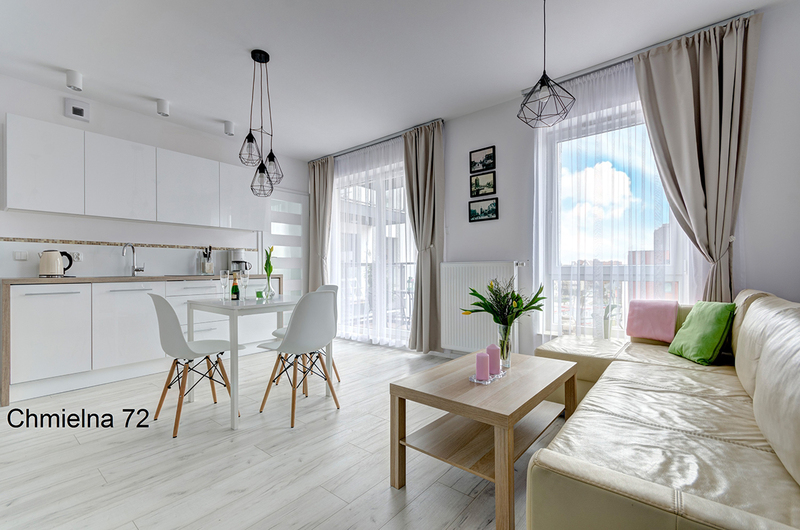 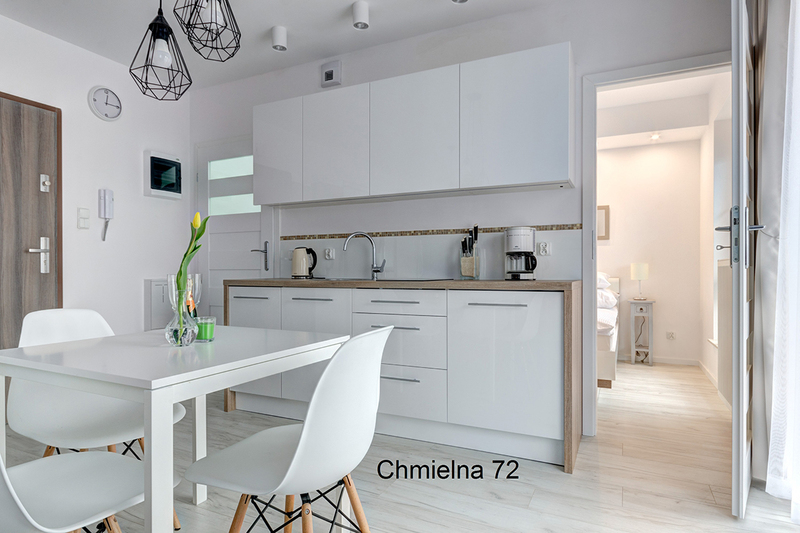 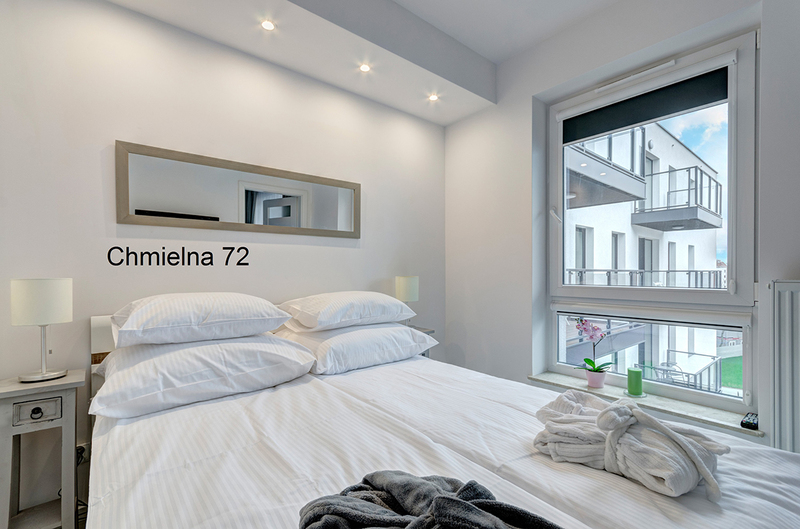 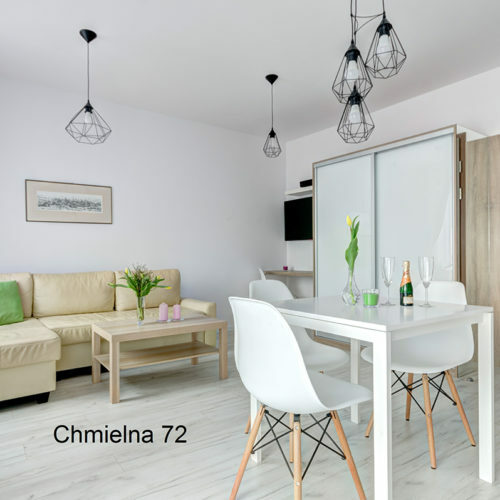 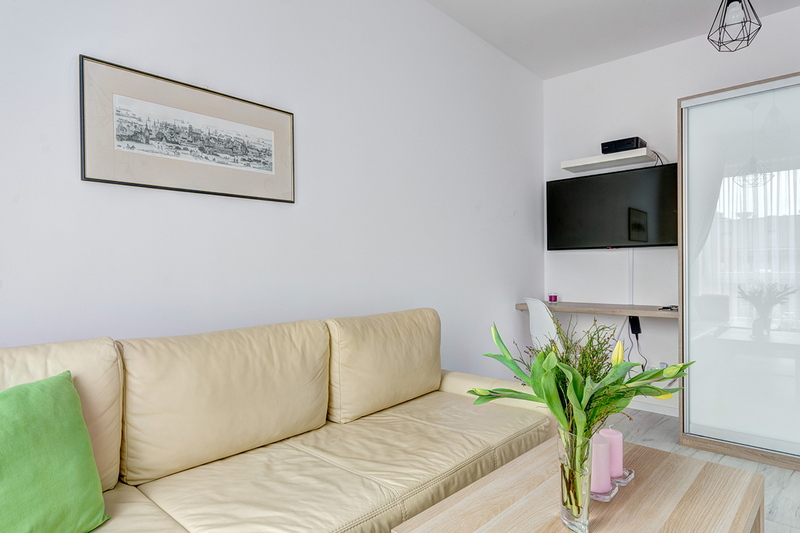 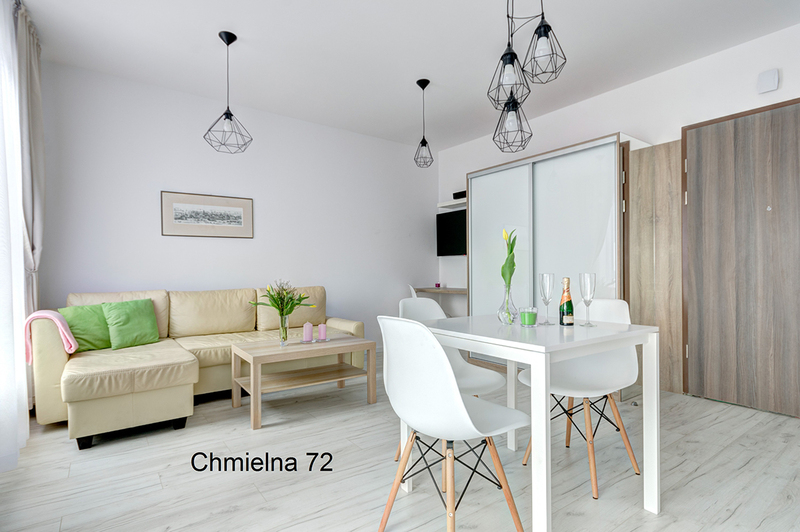 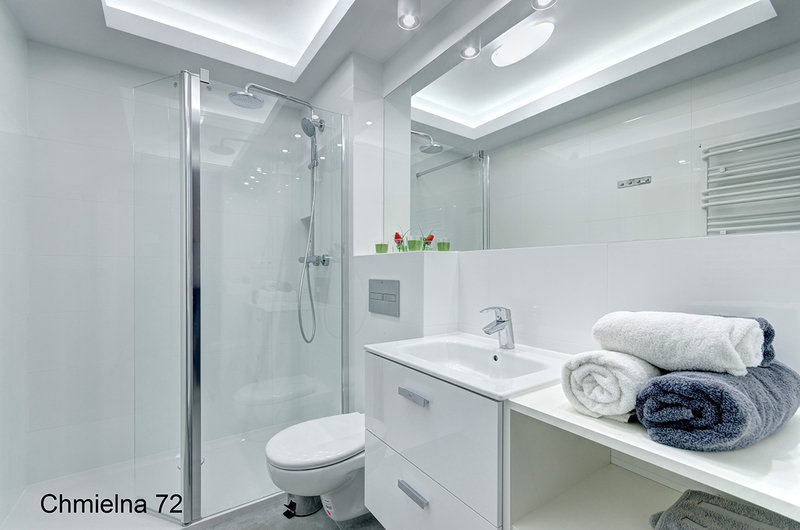 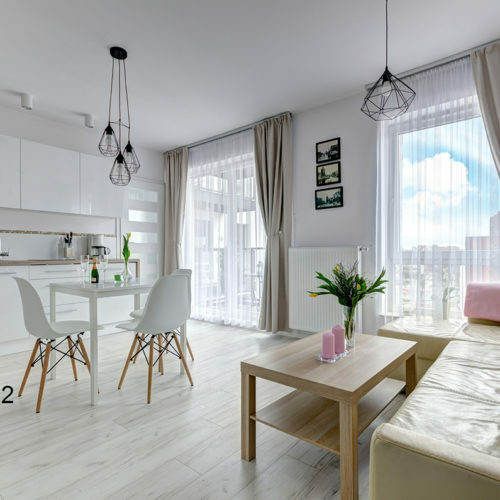 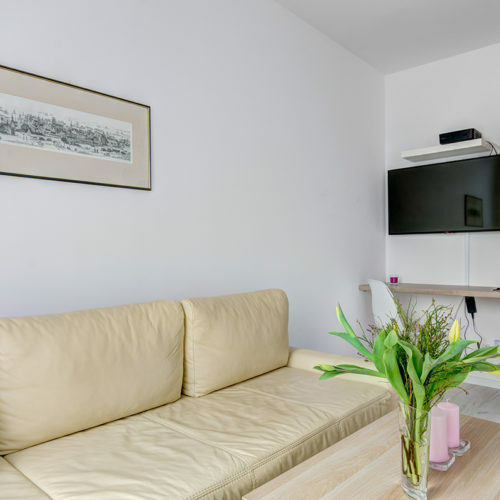 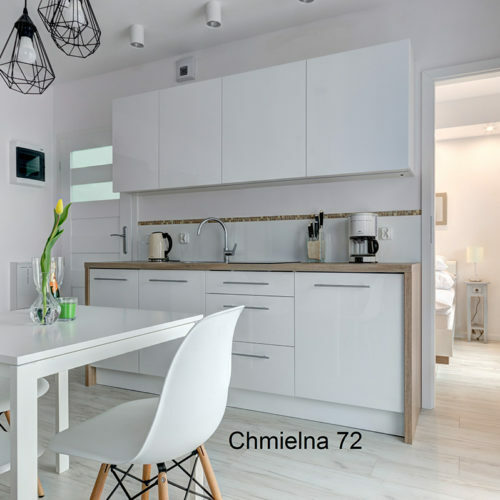 Comfortable apartment for up to 3 people located on Chmielna 72 (north side of Wyspa Spichrzów). 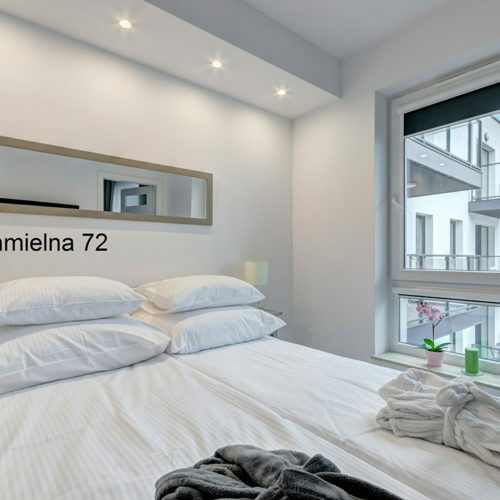 It has a separate bedroom, living room with a kitchenette and a balcony. 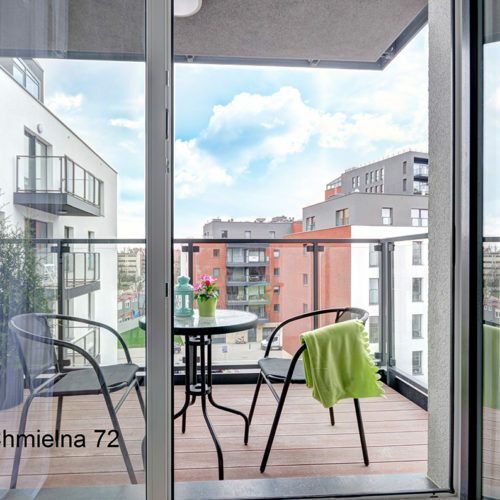 The apartment has its own parking space.